Modern compilers and indeed modern processors work to try and order instructions for optimal performance. What this means is that things don't always happen when you think they will. We may perceive of "incrementing a variable" as a simple load-add-store sequence. 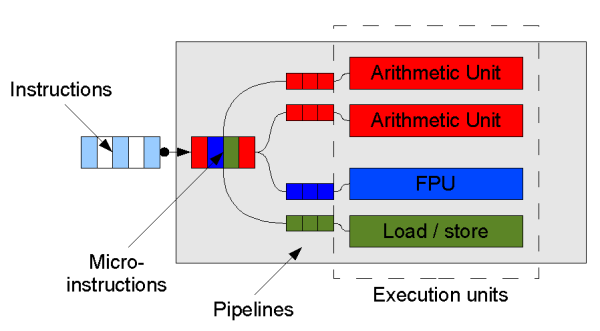 But in reality, a variable may be fetched early or stored late in the sequence of instructions in order to improve the chances of different execution units working in parallel. On the next page, we begin a review of synchronization and concurrency before Java 5. 1. Another possibility which we don't illustrate here is that some processors can actually execute in parallel instructions from different threads, e.g. thread 1 executes an add while thread 2 executes a load from memory. Intel have branded this Hyper-Threading in their recent processors (although the basic idea is not new and appears to date back to at least as early as the 70s).